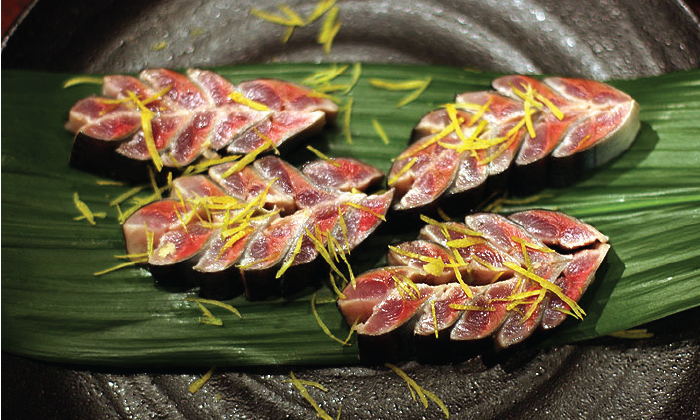 Yuzu zest is a key garnish to Japanese cooking, valued for its highly aromatic rind. It has an unforgettable distinct flavor and aroma that cannot be obtained from lemon or limes. Ripe yuzu from Japan is harvested and carefully peeled and sliced into fine slivers. Its refreshing yet subtle tang complements wide-range of flavors—sweet to savory. 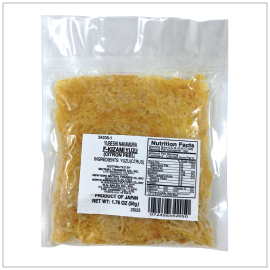 Make any dish, dessert or cocktail extra special with this frozen shredded yuzu peel.